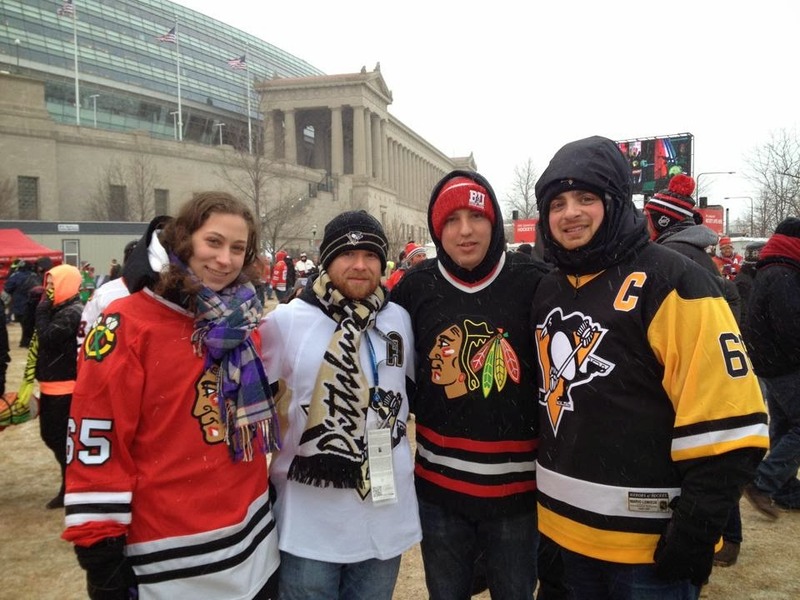 This is the final part in a four part look at the various views of outdoor hockey. Parts One, Two, and Three can be viewed with the links. It was my first time in Chicago. My first time in Soldier Field. I wasn't here to watch the Chicago Bears take on the Green Bay Packers. 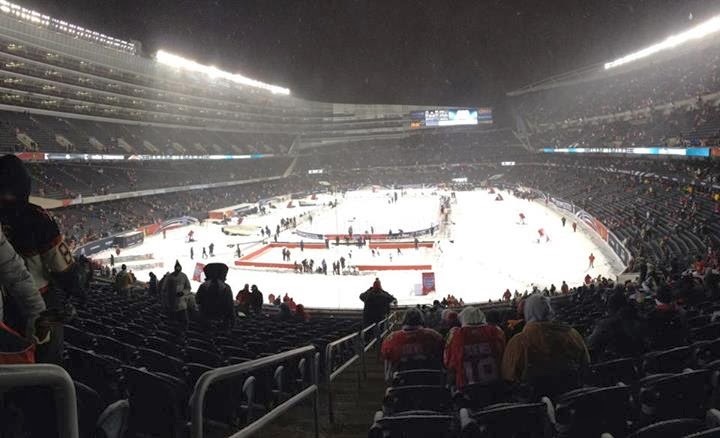 Instead I was here to watch two of the best teams in the NHL face off in the middle of the hallowed walls of the Windy City's finest football stadium. First off in my first post on this subject I wondered allowed what it would be like to be in the snow globe of Buffalo. Everything that happened was all my fault. I asked for this. I prayed for this. I got my wish. Walking up to Solider Field felt surreal in and of itself. The sky grey and spitting white. 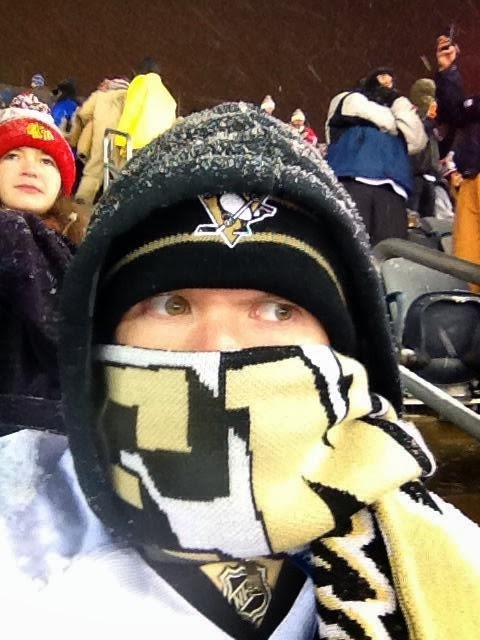 The bitter cold made me regret not bringing a scarf (I bought one for $40, worth every penny). 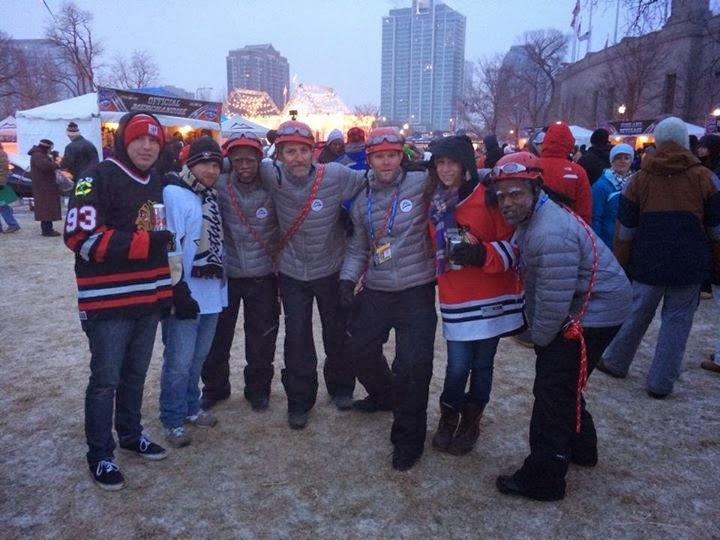 The buzz was high as my group approached the entrance to Solider Field. 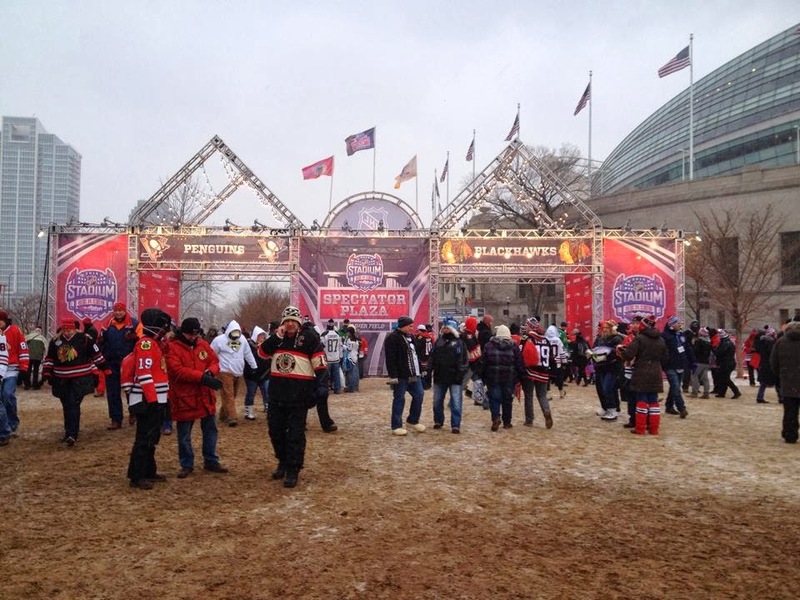 A wander around the parking lots to see the tailgating masses (and get some gentle ribbing from Blackhawks fans) added to the atmosphere. Walking into the Spectator Plaza just brought everything full circle. 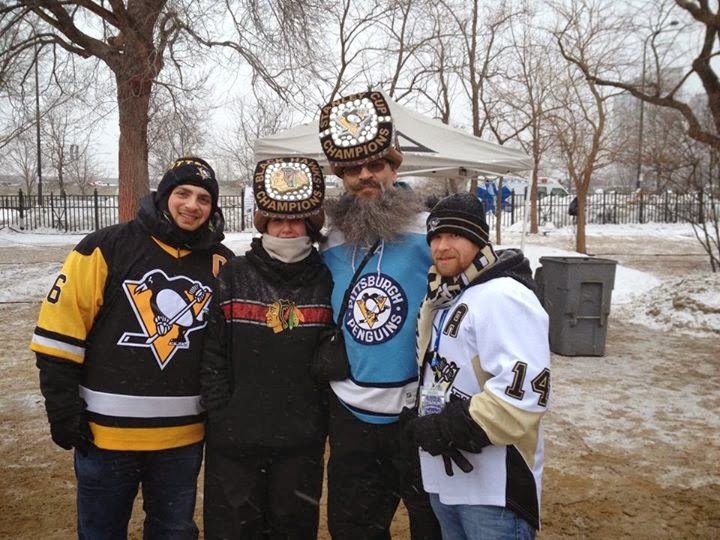 There we found all kinds of odd creatures exited to have spent good money freezing in the tundra of Chicago. 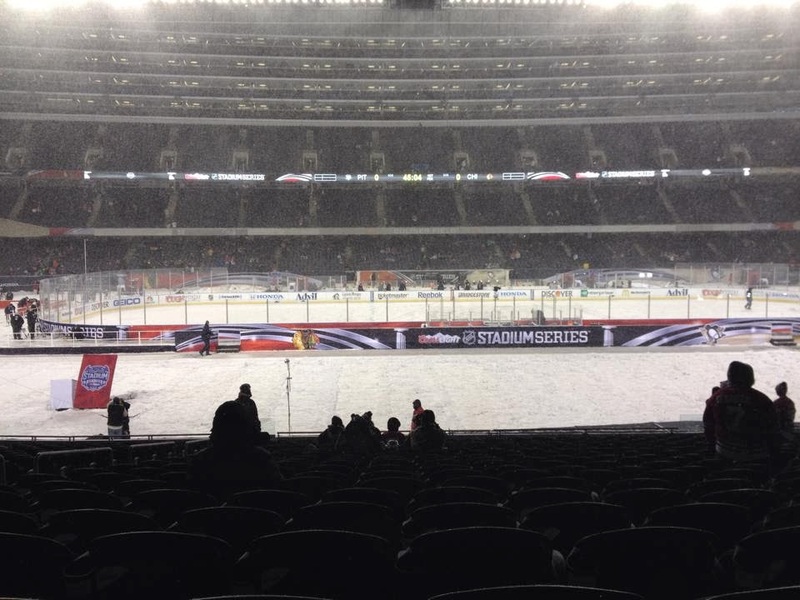 Walking into the stadium brought brief needed warmth but also my first view of the rink in the middle of the field. It's one thing to see these on TV or in photos, it's another to walk in and see a rink in the middle of a football field surrounded by over 60,000 seats that will soon be filled with people. 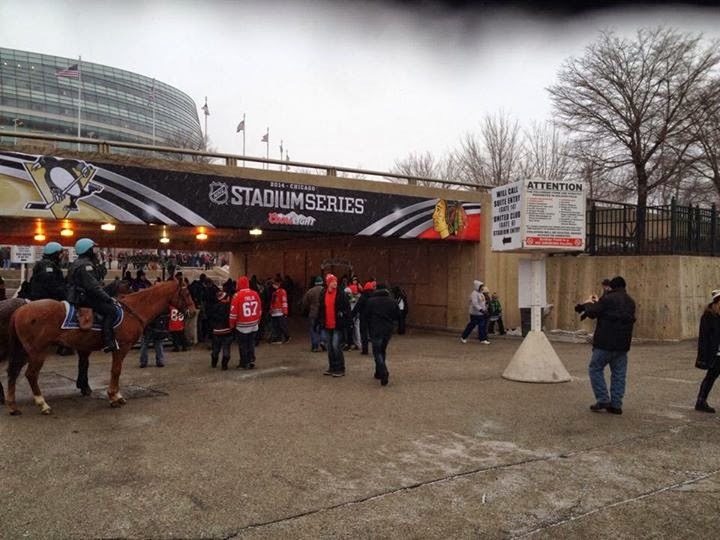 I took some time to wander around the stadium, once again getting some gentle chiding from Blackhawks fans. 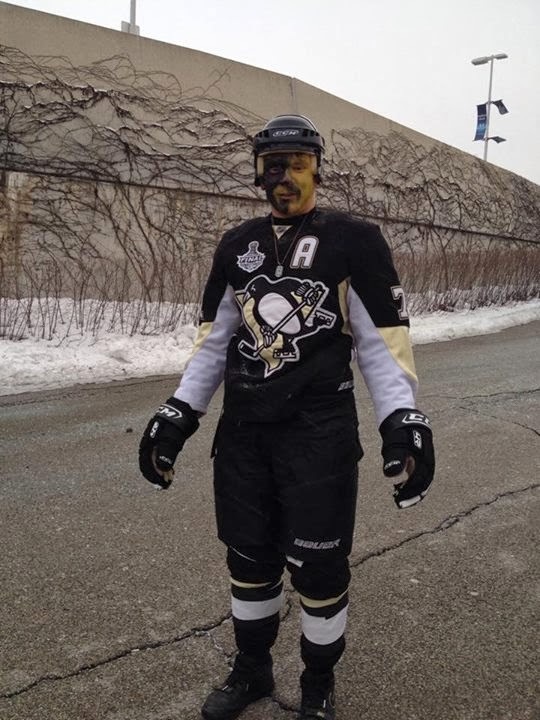 A prime example was a fan in a Toews jersey seeing my Kunitz jersey and yelling, "GO CANADA! Right now that's the only thing we have in common." "That and we're all (expletive) cold." was my best reply. Finally I reached my seats in 250. 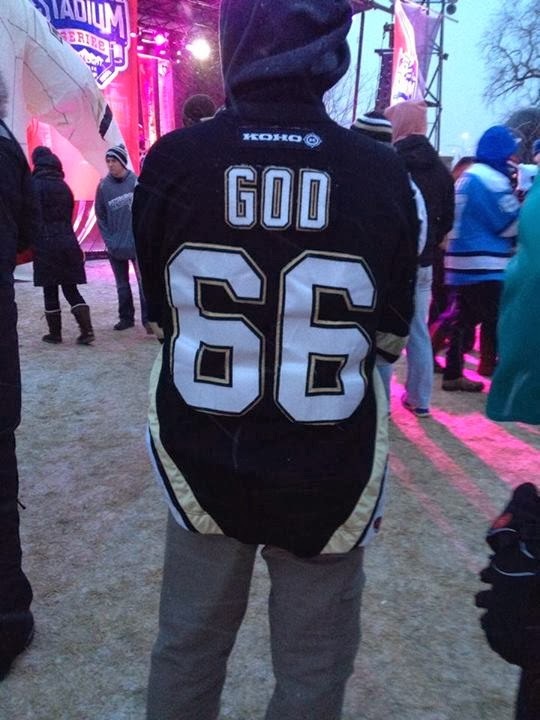 All that said, despite the 5-1 defeat in which the Penguins never looked a threat the experience was exceptional. The snow globe was beautiful. With my approximately 30,000 laters I stayed fairly warm. The only near issues were my hands (should have worn more than one pair of gloves but then I couldn't tweet!) and my jeans, which were soaked and literally frozen by the end of the game. I have never been more cold over a prolonged period of time in my life... and I'd do it again tomorrow if I could. The result of the game was not optimal. The game itself was sloppy and at times hard to watch. The entire experience? It was priceless. It was amazing. It was what I thought it'd be. It was a memory I'll never forget, and one I'll boast about for ages. Thanks to all who came with and thanks to all who made it happen.